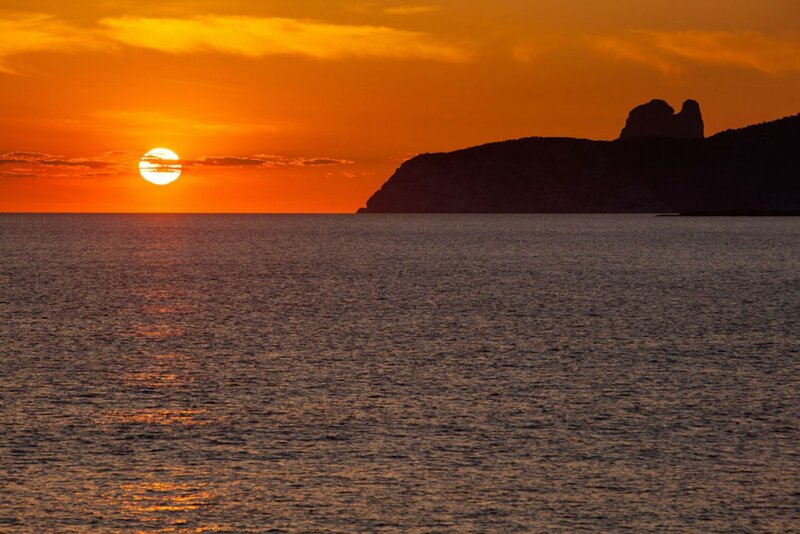 We choose the best places to watch an Ibiza summer sunset. For a resplendent sunset, Es Codolar beach in the south of the island is one of pure magic. Striations or vivid blocks of reds, oranges and pinks await you at this long beach. Few tourists choose to sun themselves here as the beach is pebbly. You will most likely see people taking a walk, often with dogs. The sky is vast and the sinking sun rewards you when you are there. Sit by the edge and soak it all in. Top tip: For a vantage point with a drink, go to the Experimental Beach bar - a cocktail there is a very satisfying sunset tribute. Try to go early as parking spaces fill fast.